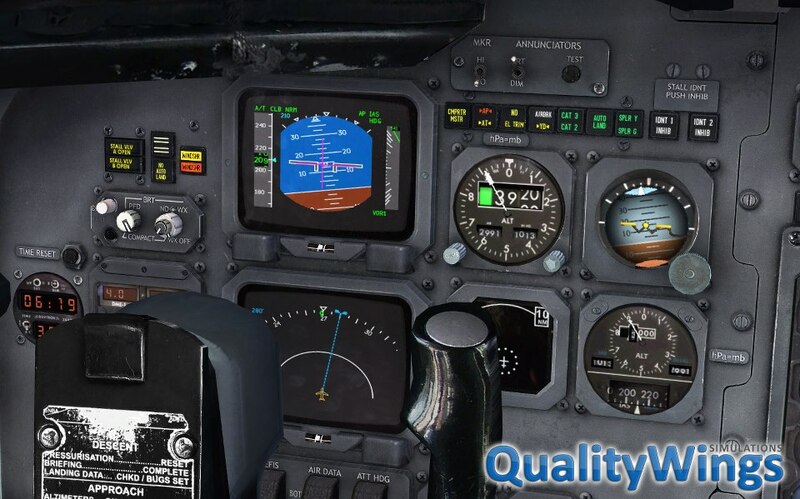 Click here for the Prepar3D v4 version. 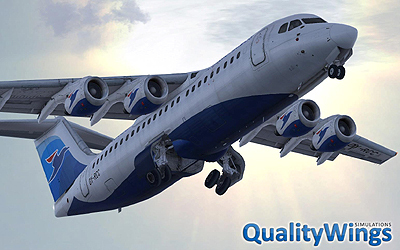 The Ultimate 146 Collection includes the BAe146 and Avro RJ series, a four engined regional aircraft series by British Aerospace. The License is cross-compatible. 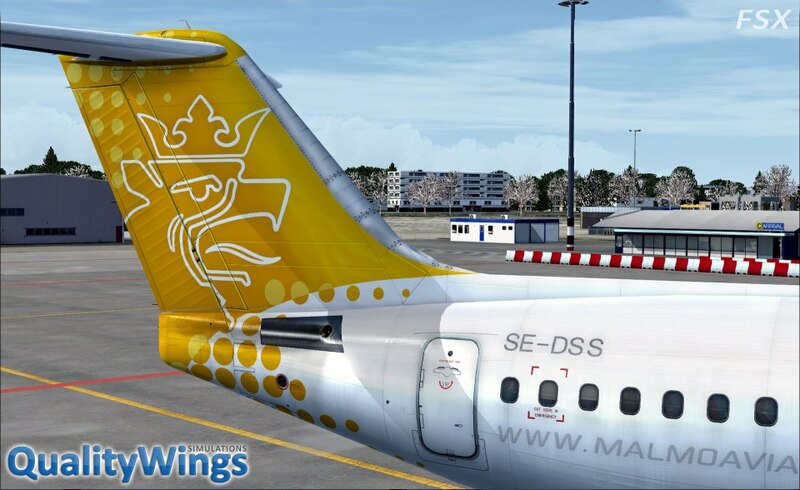 That means customers of the FSX Version are entitled to the FS2004 Version free of charge and vice versa. 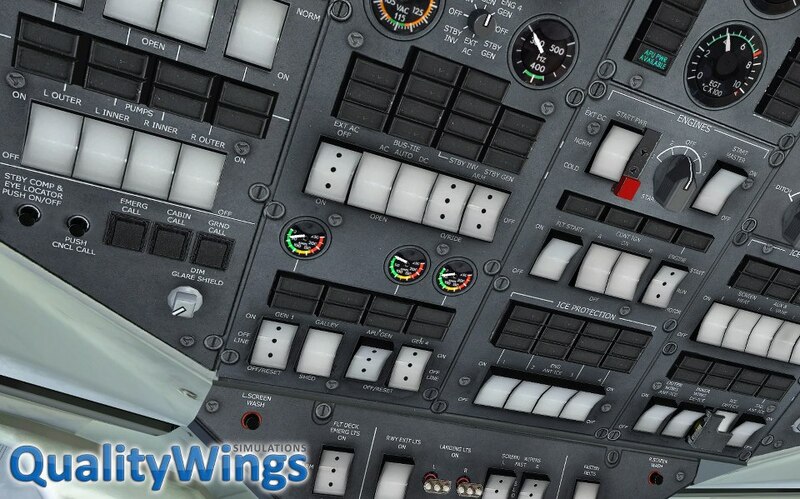 A realistic ALF507 soundset including various cockpit environment, EGPWS and miscellaneous sounds. 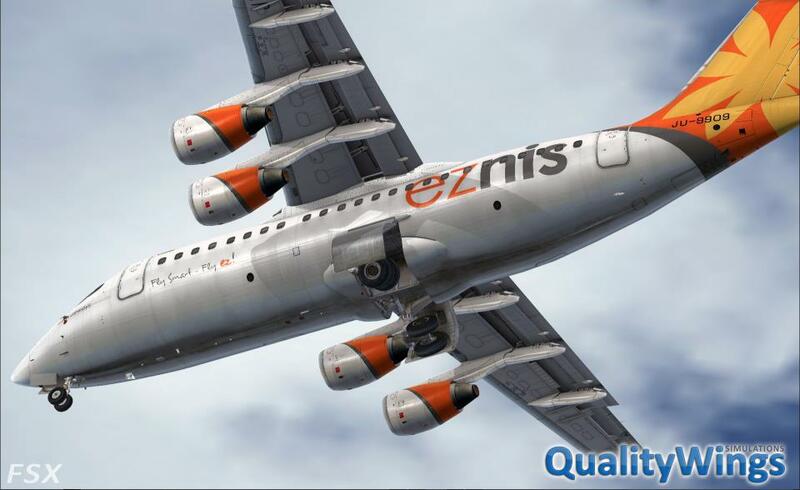 Includes advanced sound cone design to give an even more realistic immersion. 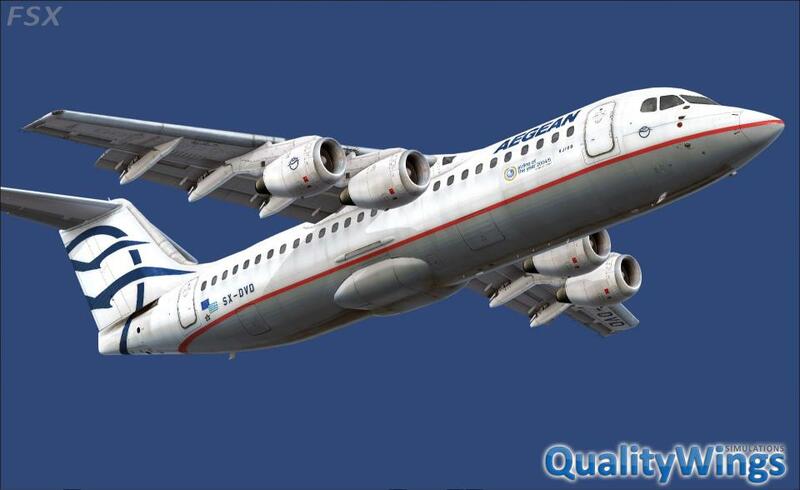 **Not all 60 liveries are available until completion of the BAe146 Variants! The E-Commerce enabled download executable is about 410 MB in size. The purchase screen will appear when you run the executable. Note: Make sure you "Save" the file to your system. Do not select Open from the browser. Since this is an ecommerce enable EXE, some browsers (e.g. Chrome) may give a false-positive security warning. This is common with many e-commerce enabled applications from our site. It is safe to ignore the warning. The License is cross-compatible. 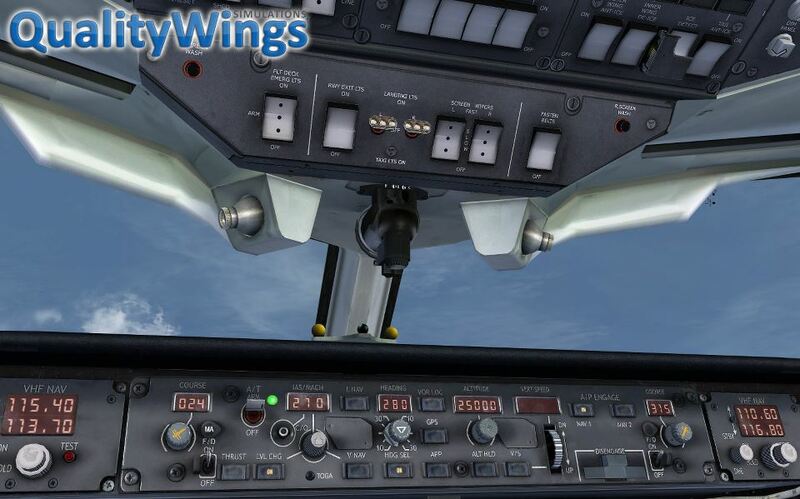 That means customers of the FSX Version are entitled to the FS2004 Version free of charge and vice versa. 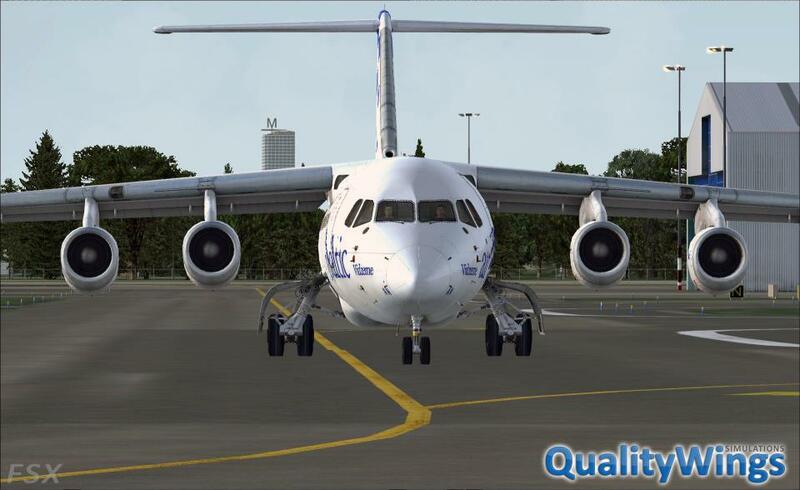 Use the Reinstall option if you are switching to this version and you already have the FS2004 version.